I'm always glad to meet-up with the folks from Metacoda when I attend SAS Global Forum. They always have something new and valuable to show. Historically it's always been new features for their Metacoda Security Plug-Ins, but this year they were keen to talk about Metacoda Commutual. The Metacoda Security Plug-Ins are add-ons for SAS Management Console which improve the productivity of administrators working on SAS metadata security. They provide clearer views of your security ACTs and ACEs together with the access that your security rules are giving to groups, roles and users. Over the years, the Plug-Ins have grown into a powerful and valuable tool. First mentioned on this blog back in November last year, Metacoda Commutual is a web application for searching and collaborating around business and technical metadata in SAS, including discussions and notification of changes to items of interest. As I said in November, "I think the idea has great merit. 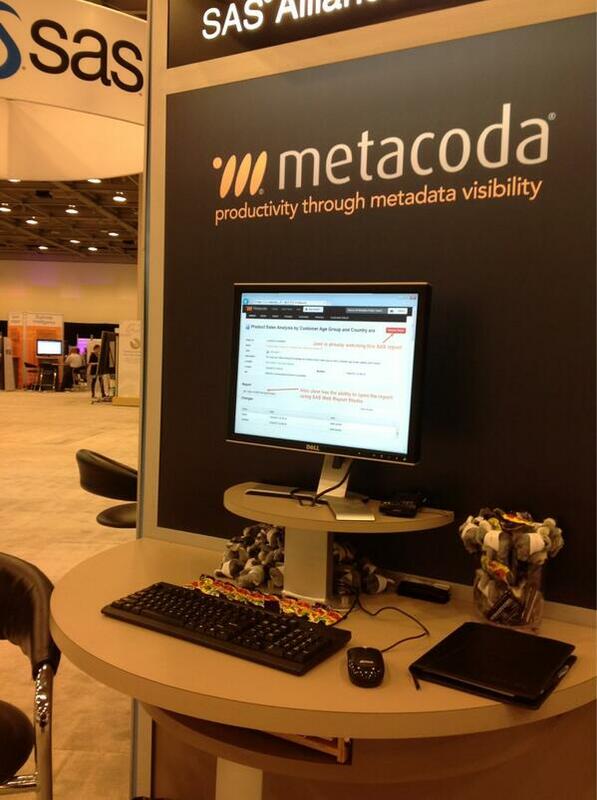 Metadata is not just a technical thing; it represents the objects that are important to our business." Metadata is not just a means to an end from a technical perspective. Your BI reports and DI jobs are important to you and your business; recording and sharing extra information about these objects is of great value. I think Commutual has great value. What do you think?